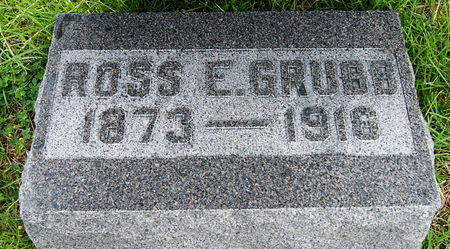 Ross Everett Grubb, son of James H. Grubb and Harriet Snyder, was born Jan. 26, 1873 in Bartholomew Co., Indiana and died May 19, 1916 near Garden City, Finney Co., Kansas. He married Myra Ethel Hall Jan. 29, 1902 at Bedford, Taylor Co., Iowa. Searching for ROSS EVERETT GRUBB in Taylor County Iowa?